Retailers have traditionally taken a conservative view when it comes to new technology but it is now clear that cloud-based technology is poised to revolutionize the retail industry. 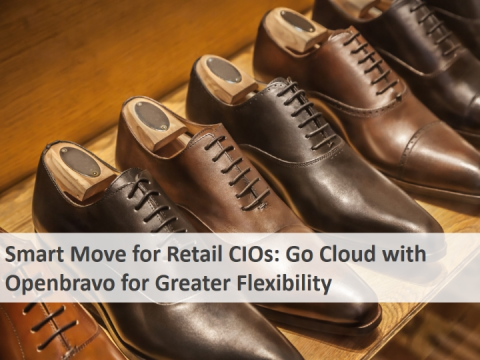 Many retailers want to go Cloud but they have concerns, particularly in areas such as availability and performance. The good news is that these issues can be addressed thanks to hybrid architectures and distributed deployment options that combine the benefits of on-premises IT with the cloud. Recent years have seen a seismic shift in IT as more businesses move to the cloud. In this presentation we will explain how the unique capabilities of the Openbravo architecture allow retailers to go Cloud with greater flexibility and confidence thanks to key features such as native offline support provided by technical components like the Store Server that also enable distributed deployment scenarios. If you wish to watch the full webinar which accompanies this presentation, please visit www.openbravo.com/resources/webinars.